Year two is a big year for maths, moving past counting and into simple addition. 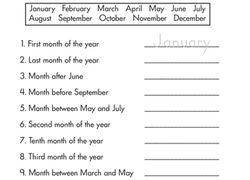 Cover all corners of year two maths, from coins to measurement to two-digit numbers, with our year two maths worksheets. 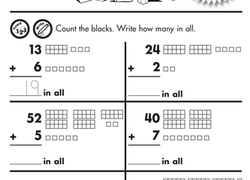 A good place to start if kids want a warm-up is our Year two counting worksheets . Next thing you know, your first grader will be a maths master! Is your young learner ready for the exciting world of year two maths? Whether your child is still working on mastering counting or ready to kick it up a notch, there’s a year two maths worksheet to support your little learner at their current level and challenge them to reach the next stage. 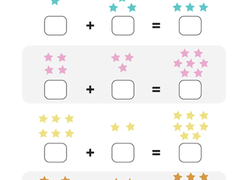 Use our colorful maths worksheets to help kids learn to count their way to addition success, then give them lots of skills practise with colour-by-sum activities or any number of vertical and horizontal addition and subtraction practise problems. Next, give your child essential practise measuring and comparing all kinds of colorful objects with our measurement activities, or teach them the value of a penny (as well as a nickel, dime, and quarter) while supplementing other important maths skills with our year two money worksheets. Kids can explore the exciting world of geometry, learn how to collect data and read and create graphs, and even get an early introduction to fractions and equal shares. With so many different options, kids won’t tyre of practising maths, and you’ll love watching them rise to meet each new challenge!